Will archive this cache now. If you wish to repair/replace the cache sometime in the future, just contact us, and assuming it meets the guidelines, we'll be happy to unarchive it. 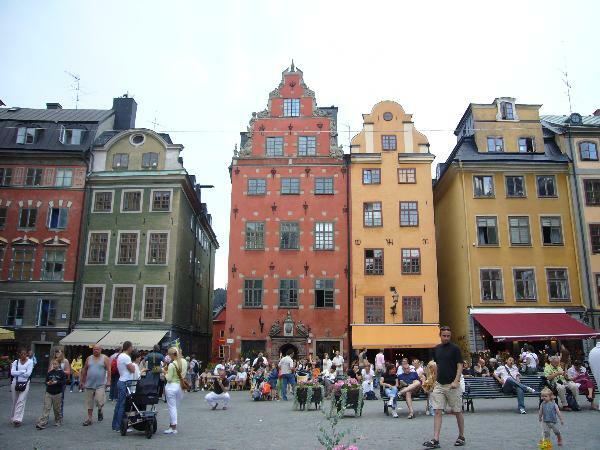 The cache is inspired by the Stockholm Bloodbath which took place in 1520 on the 8th and 9th of November. On the 7th of September Kristian II of Denmark marched into Stockholm and was crowned king of Sweden on November the 4th. The remaining followers of the previous King of Sweden, Sten Sture, who had died in battle, were subsequently arrested and sentenced to death. The execution of the opponents, city aldermen, Bishops and other leading families, began at noon on the 8th of November. The violence spread over two days resulting in the slaughter of the servants and families of the condemed and even elements of the crowd. On the night of the final day it started to rain heavily colouring the streets red with blood. The smell was so awful that the bodies were removed from the square and taken outside the old city limits to be burned on a huge bonfire. Right where Katarina Church is today. On the're way over there they stoped to pick up the remainings of the late king to burn him with the rest of the people and it's at that place you'll find the cache. To start you must locate the coordinates above, where the slaughter began. To find the cache, and the site where the king's corpse was colected, you need to solve the following problem or equation. First you must locate some key numbers on a blue sign. The sign is to the west. See the photo.